Even though the holidays are over, winter is the perfect time to nuzzle up in front of your fireplace. In order to show appreciation, Jimmy Fallon asked Nick Offerman to recite a poem about firewood on last night’s episode of The Tonight Show. And, recite a poem he did. In fact, it nearly brought tears to our eyes. The poem actually occurred while Fallon was reading out suggestions from his notable suggestion box. While the firewood-related note was more of a statement than a suggestion, it was the perfect intro to roll out Offerman. Offerman, sitting next to an impressive pile of wood, looked right at home. Watch for yourself, and truly enjoy the poetic moment. Not only was it a short poem, but it rhymed. "When that pile gets high enough, I'll shed a single tear. For this is no wood left to chop, but I am still right here," Offerman said, while taking a second to compose himself. 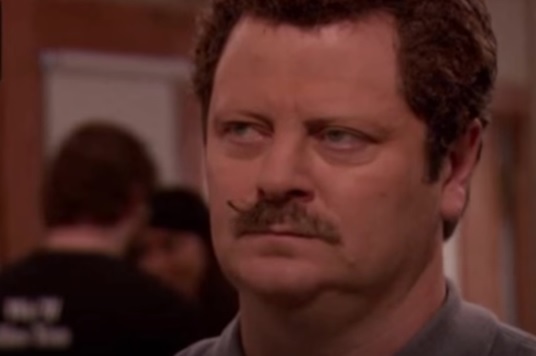 Simply because it reminded us of a legendary Parks & Recreation scene, where Ron did just that. Let that image serve as a reminder to never put lighter fluid in an eternal flame. 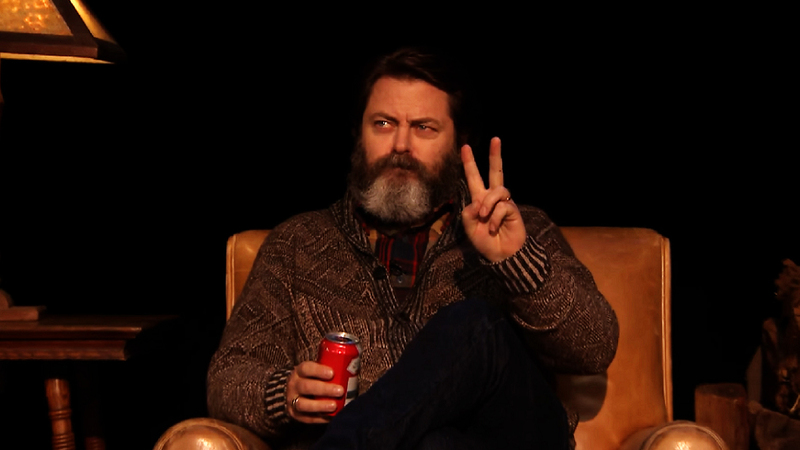 We’d definitely be down for more of Nick Offerman’s heartfelt poetry if he ever felt inspired enough to share more. It’d be interesting to see what other topics he’d cover — we’d guess whiskey would definitely get a poem. And, wife Megan Mullally would probably inspire a hardcover book of poems!